Gritty is everywhere these days, from the ballot box to the Thanksgiving Day parade. One place we didn’t expect to see him, though, is some random wedding reception on Black Friday. Yet that’s where Gritty was on Friday night, sporting a pretty sick black alternate Flyers jersey instead of his normal orange home threads. It’'s wise to double-check: there are probably dozens of Gritty impostors out there considering his current ubiquity. But the eyes, hair, and absolute wackiness check out. 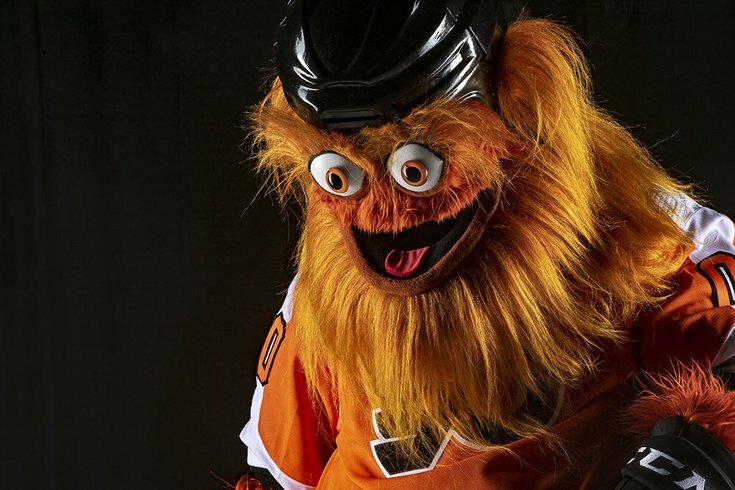 That’s Gritty, and Gritty crashed a wedding in Philly. Here’s hoping our big orange friend has plenty of holiday shenanigans planned to keep us on our toes into the new year.